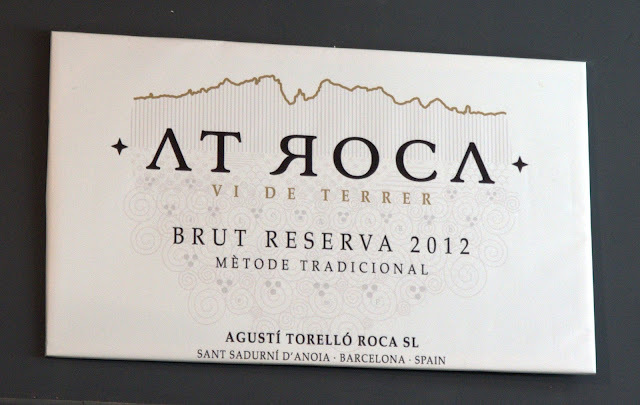 AT Roca, an artisan, family owned, viticulturally oriented winery, produces superb quality Clàssic Penedès Brut and Brut Reserve Rosat sparkling wines. 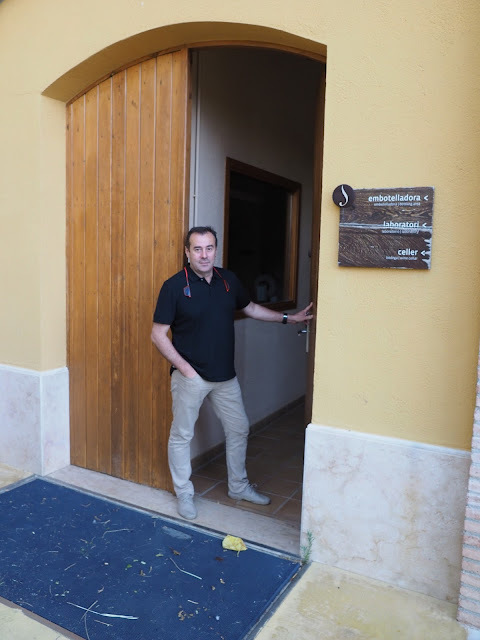 Agustí Torelló Sibill and his sister Lali were shut out of their father’s winery Agustí Torelló because of a family dispute. Agustí, who was the face of the family’s wines, decided to begin anew. 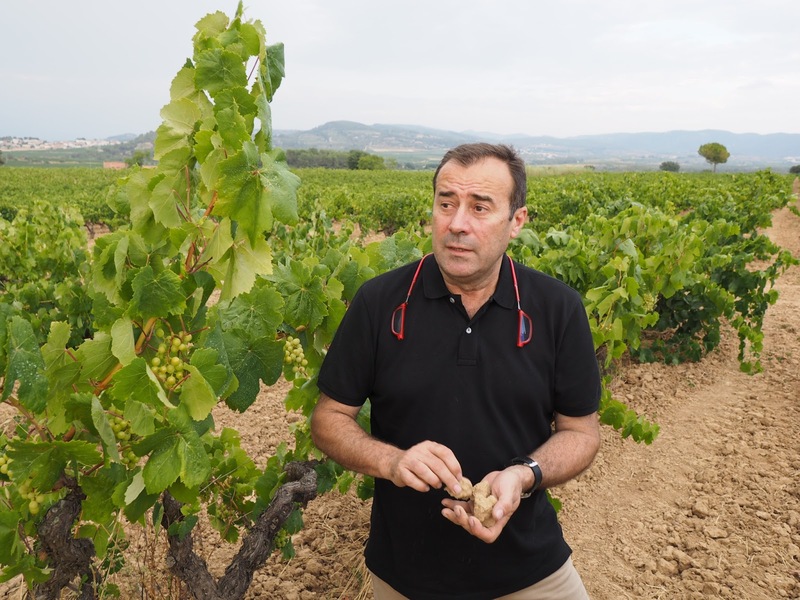 Agustí, Lali and his son and winemaker Agustí Torelló Roca, set up shop on the outskirts of the Cava capital of Sant Sadurni D’Anoia, and named their wines AT Roca. 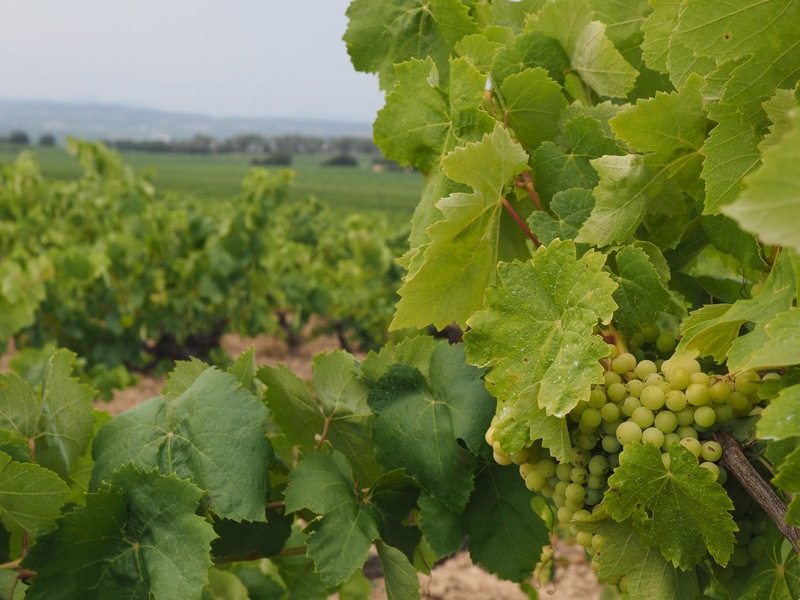 The Torellós also found three prime ecologically farmed vineyards, owned by eight dedicated viticulturists with mature vines in three different areas of Penedès at three different altitude levels, from which they source their grapes: Their Macabeu (Viura) grapes come from L'Ordal (coastal Massís del Garraf), Finca Canta Llops (Howling Wolf) vineyard, 420 meters (nearly 1400 feet above sea level); Xarel.lo from the slate-laced vineyards of Conca del Foix, Plana de l'Urpí, 220 meters (more than 700 feet); Parellada from La Llacuna, La Ginestera, 725 meters (2400 feet). 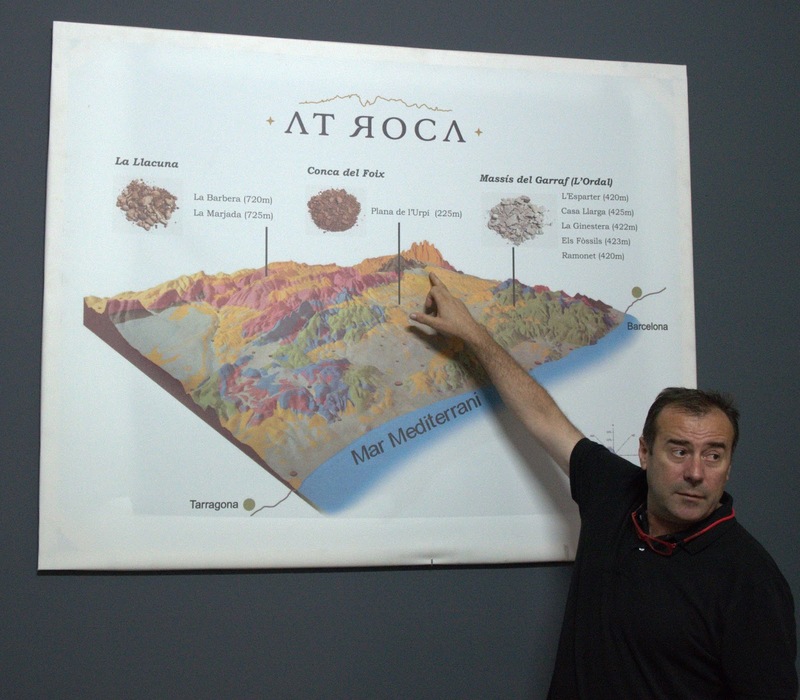 Agustí Torelló Roca shows the locations of three prime ecologically farmed vineyards, owned by eight dedicated viticulturists with mature vines in three different areas of Penedès at three different altitude levels, from which they source the grapes for their wines. 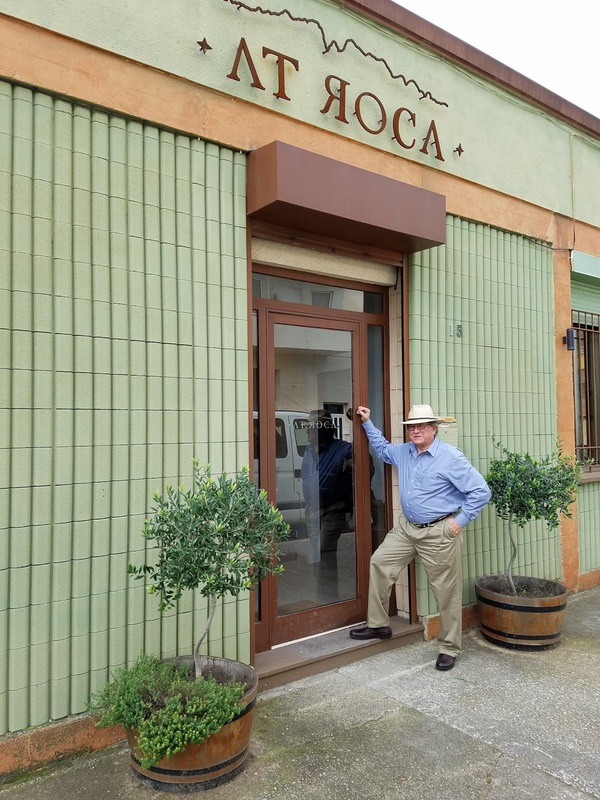 “AT Roca is a new winery that was started by the brother and sister team of Agustí and Lali Torelló Sibill, as well as Agustí’s son, Agustí Torelló Roca, who handles all the viticulture and winemaking for the new sparkling wine house. 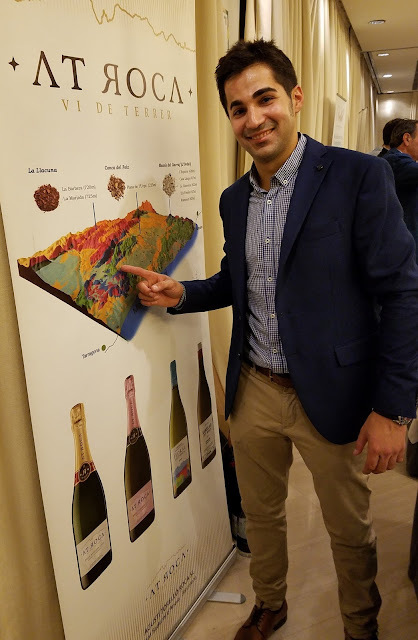 These are the same family members who ran the famed Agustí Torelló Mata Cava house, who were one of the driving forces in the formation of the category in past generations and continue to make one of Spain’s greatest sparklers, which they call Kripta. An internecine family argument led to the ouster of Agustí and Lali Torelló and they promptly set up on their own, contracting with eight small farmers to purchase grapes from 97 cooler, high altitude vineyards farmed in the proper, Six Percent Club manner. *Comes in 6 bt. Packs. AT Roca Brut Rosat. Photo by Docsconz, John Sconzo. Gerry Dawes at AT Roca, Sant Sadurni D’Anoia. We arrived at the Hotel Domo in the wine capital of Vilafranca del Penedès Barcelona province), an hour southeast of Barcelona sometime after one a.m., but Hotel Domo was relatively quiet--no jackhammer machine like we experienced in Barcelona--and I could open my windows for fresh air, so I got a reasonably good night's sleep. Agustí Torelló Roca came by to pick us up at 9:00 the next morning to show us some of the AT Roca vineyards, their fine vinification facility at Can Bonastre, which is also a wine resort hotel and restaurant, and then on to their production and facility where the Torellós age and bottle their exquisite Champagne-quality methode champenoise sparking wines, including their native varieties Brut Rosat in a complex at the edge of Sant Sadurni d'Anoia. 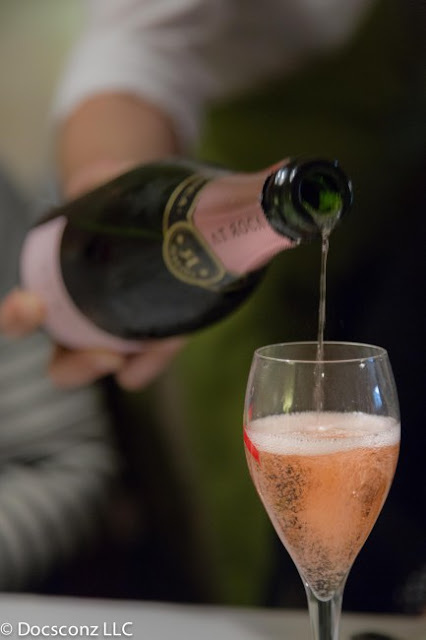 Sant Sadurni is the sparkling wine capital of Catalunya, Spain and, in volume, the World. The largest producers, Freixenet and Codorníu make enormous amounts of bubbly, more than any other single producer of methode champenoise wines in the world. Agustí Torelló Sibill at AT Roca's fine vinification facility at Can Bonastre, which is also a wine resort hotel and restaurant, 10 kilometers from Sant Sadurni D'Anoia in Catalunya, southwest of Barcelona. Photo by Gerry Dawes. Xarel.lo grapes, AT Roca, July 2015. Conca de Foix Plana de l'Urpi vineyard (Foix basin, l'Urpi plain), near Sant Sadurni D'Anoia in Catalunya, southwest of Barcelona.